I have to request that due to some problems related to my admission abroad I will have to apply early for the admission process and secondly, they also require a passport for application purposes. (Describe in your own words). But the problem is that my passport is not ready yet. (Explain the actual cause and situation). I want to request to you, to please grant me the passport on urgent basis so that my admission process is not hindered. (Describe your requirements). I shall be very thankful to you. It is stated that I have to apply for a foreign scholarship which required a valid passport. The normal time period for the processing of passport will not meet my requirement and I won’t be able to apply for the scholarship. (Describe in your own words). 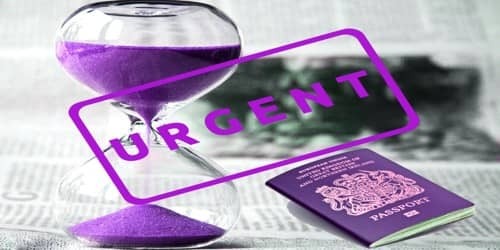 I am requesting you to please speed up the process of my passport application as you have an urgent passport plan available. (Explain the actual cause and situation). I am willing to pay the extra fees for it as per the urgent passport proceeding fees. I hope to get my passport within the given time period of urgency. (Describe your requirements). I would be very thankful to you.